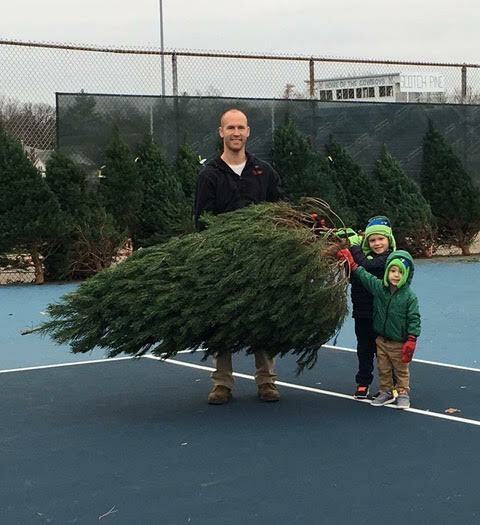 Allen Boerger and sons Connor and Broden found the perfect tree. 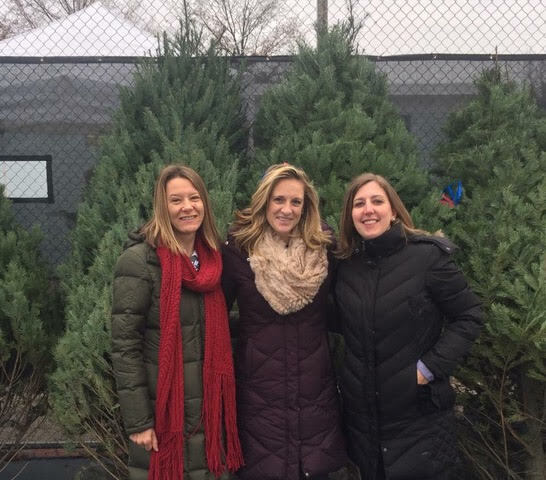 Begin your holiday fun by shopping at the Wyoming Kindervelt Christmas Tree Sale on December 2 from 9:00 a.m. - 4:00 p.m. and December 3 from 12:00 p.m. - 4:00 p.m. Located on the tennis courts across from the Friendship Methodist Church, this is a one-stop shopping event…beautiful trees, wreaths, swags, centerpieces, and roping. With these “greens” you’ll experience very little of the dreaded needle drop because the trees are freshly cut and the greens newly prepared. Better yet, the money you spend will go to benefit the Psychiatric Emergency Assessment Center at Cincinnati’s Children Hospital. Last year Wyoming Kindervelt #8 raised over $32,000 through community events such as the trackless train at Fall Festival, the North Pole Express, and the Tree Sale. Kindervelt members, Boy Scouts, and Wyoming High School students will be on hand to spin trees, carry your selection to your car, and tie the tree on top. For an additional $10, trees can also be delivered to any home within a ten mile radius. Stephanie Haas, Lindsay Dye, and Beth Cornella were hard at work selling trees and greens. Extend your holiday experience on Saturday by attending the “Flapjacks and Fortissimo Breakfast” at the WHS cafeteria sponsored by the Wyoming School Music Association (Music Boosters) and Holiday Shopping at the Civic Center. During your stop at the tennis courts you can also pick up your “Light Up Wyoming” kit from the JWC.